When you think of Chester what is the first thing that comes to mind? 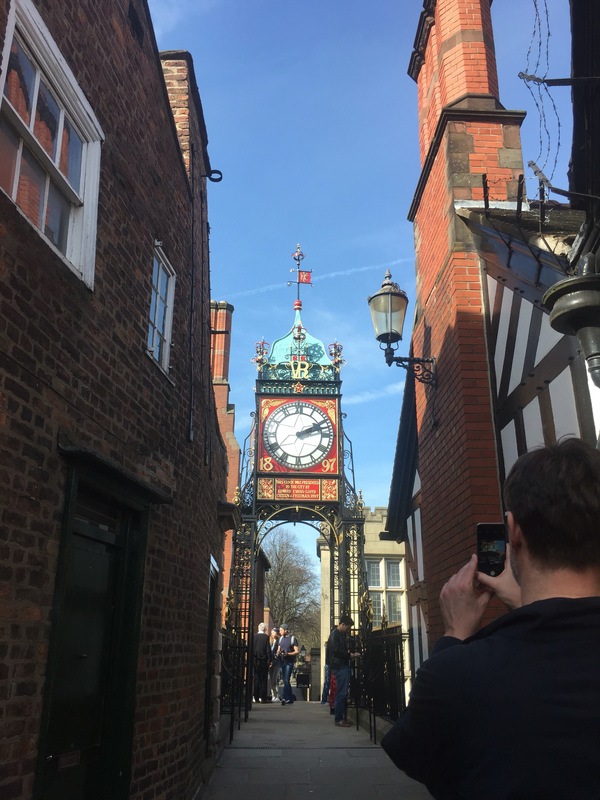 Chances are that Chester conjures up images of some of our city’s beautiful and historic buildings and our famous Eastgate Clock. Apparently, the rather gorgeous Eastgate Clock is the second most photographed timepiece in the UK. We didn’t actually know this but we’re not surprised. We really do have a heck of a lot to be proud of when it comes to our city. So when we were invited to visit the new look Pizza Express on St John Street, with modern decor inspired by our city’s fine buildings and our rather popular timepiece, we thought it a timely opportunity to combine our love of Italian food with a chance to take a peek at the Chester-inspired interior. 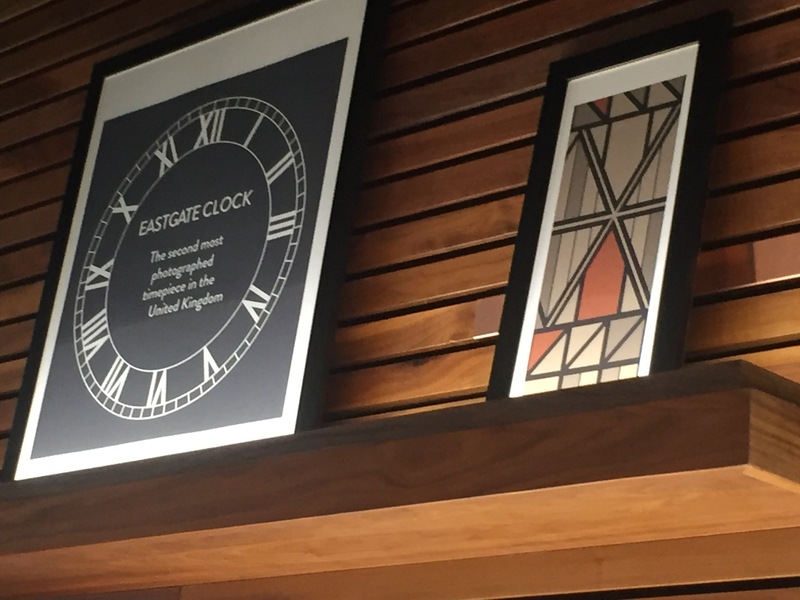 The restaurant has been given a sleek refurb, with wood panelling and black and white mosaic style interior décor reflecting Chester’s Tudor buildings. 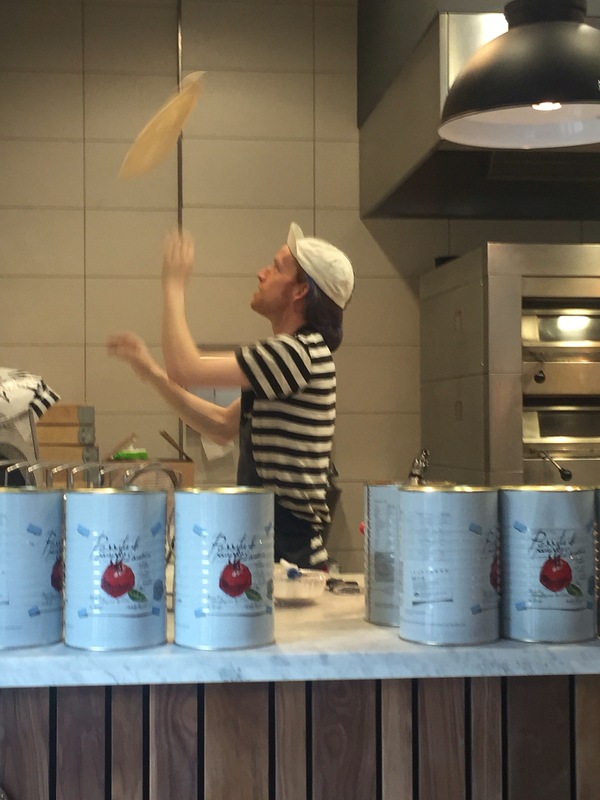 We were given a warm welcome by assistant manager Nicole, who showed us to our seats, from where we could watch the pizzaiolos in action twirling dough in mid air and making fresh and mouthwatering pizzas for the hungry hordes. The restaurant soon filled up with a mixture of families, friends and couples enjoying a leisurely lunch in our lovely city. We whet our appetites with a bowl of moreish garlic and oregano olives with pretty pink peppercorns, before our starters arrived. 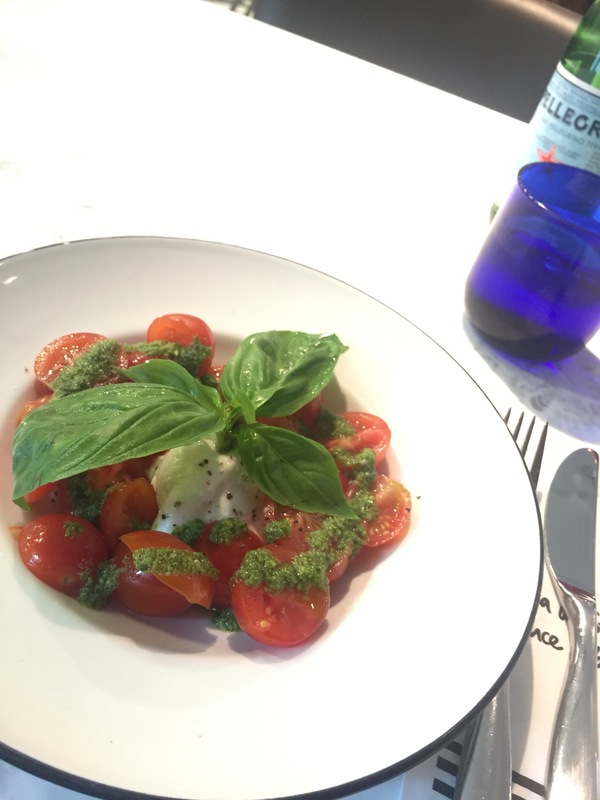 In my case, a vibrantly coloured and fresh buffalo mozzarella and juicy tomato salad with pesto was quickly devoured, with fellow We Are Chester writer Paul Clark opting for his favourite starter, which did not let him down – tomato bruschetta. 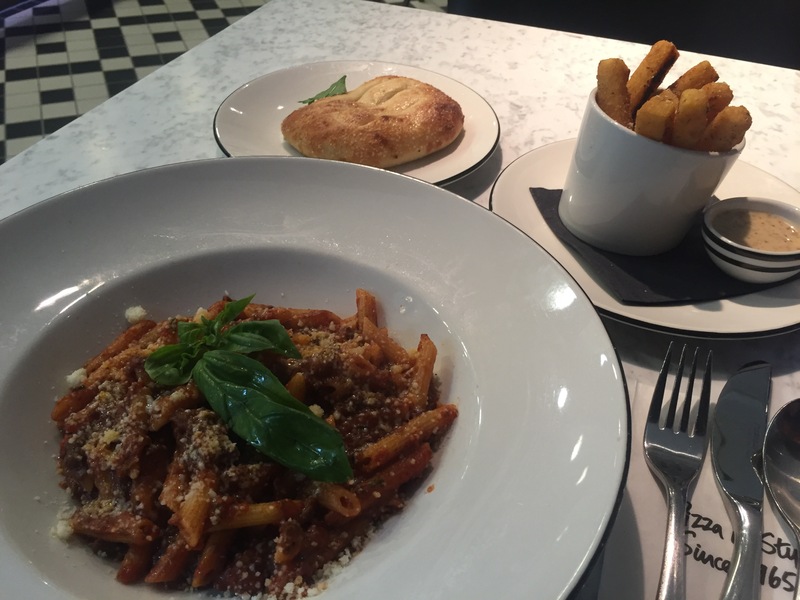 Then came our mains – with this greedy We Are Chester editor choosing pennette bolognese pasta with a hearty beef ragu and a side order of polenta chips and garlic bread, while Paul went for a Fiorentina pizza on a Romana base, with spinach, olives and a softly poached egg to finish. 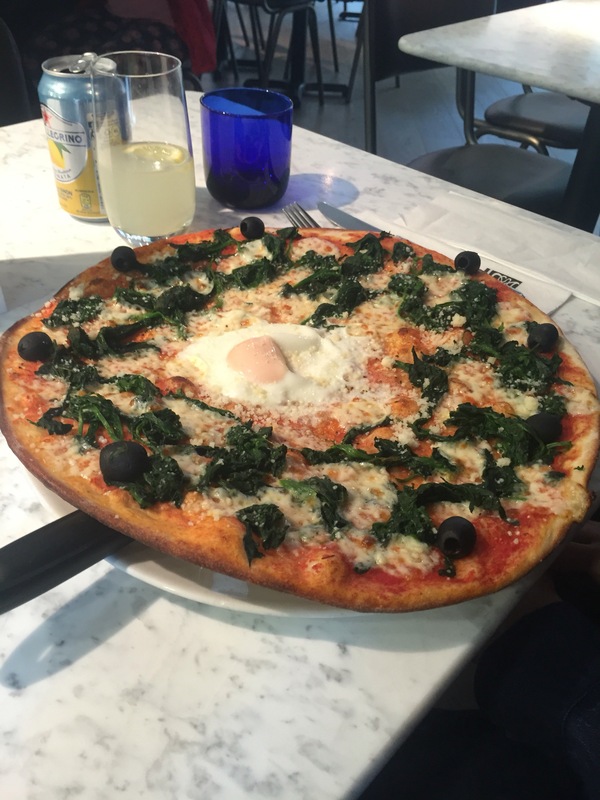 Said pizza looked and clearly tasted gorgeous, given that there were no leftovers. I have to say that the portions were generous. 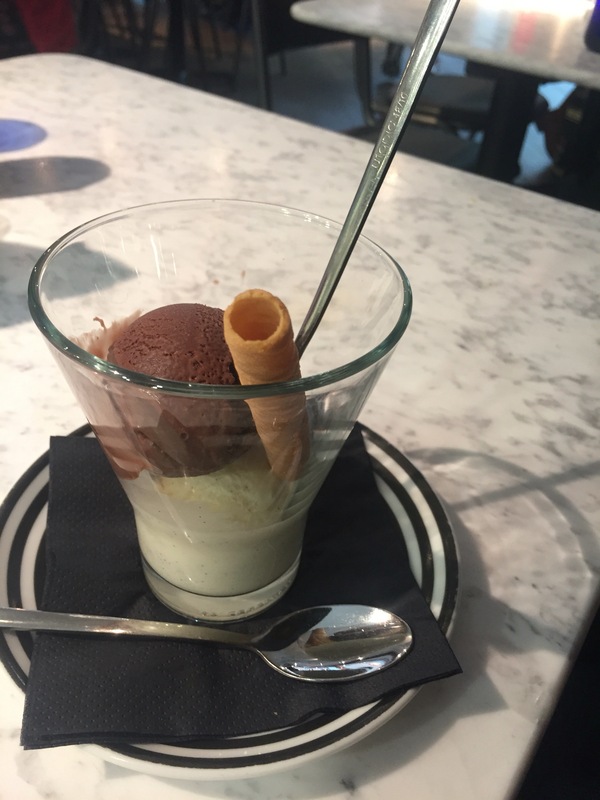 When it came to pudding, I was defeated and opted for an espresso. I could only watch enviously as Paul enjoyed his chocolate and vanilla gelato. 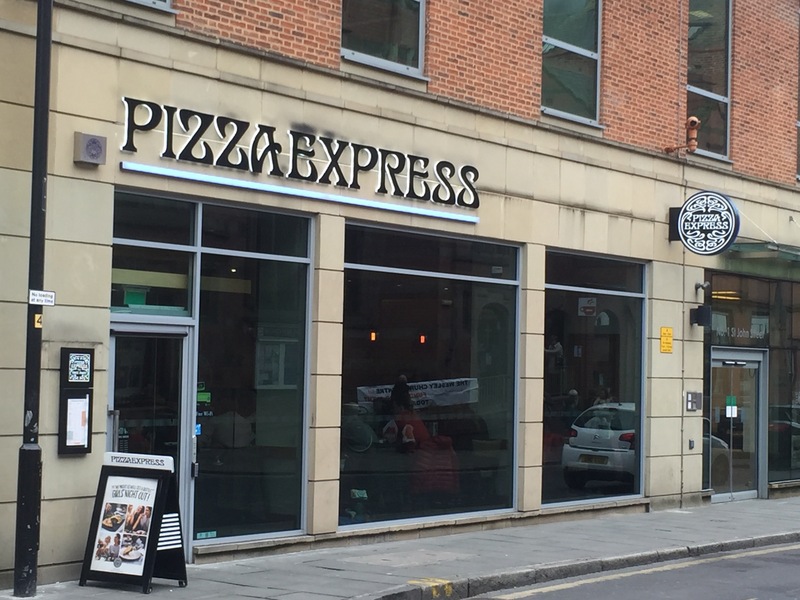 We enjoyed our visit to Pizza Express and were impressed with the ambience, the service given by the friendly staff and the temptations of the various moreish food on offer. We headed out on to the city streets and decided to make a day of it, going on to visit the grand surroundings of our cathedral after hearing about an impressive art exhibition that is on until May. If you get the chance then the cathedral is well worth a visit. 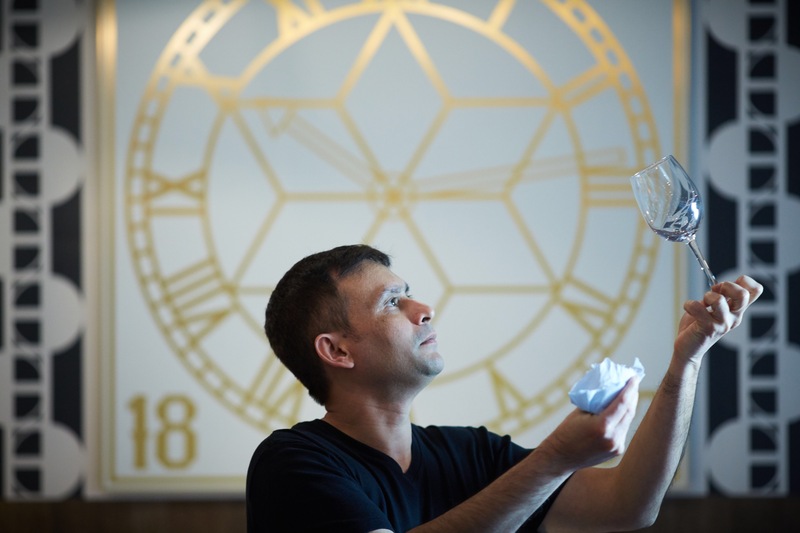 It’s free to enter and there is currently the opportunity to view the stunning Golgotha exhibition, featuring sculptures by Turner Prize nominated artist David Mach. 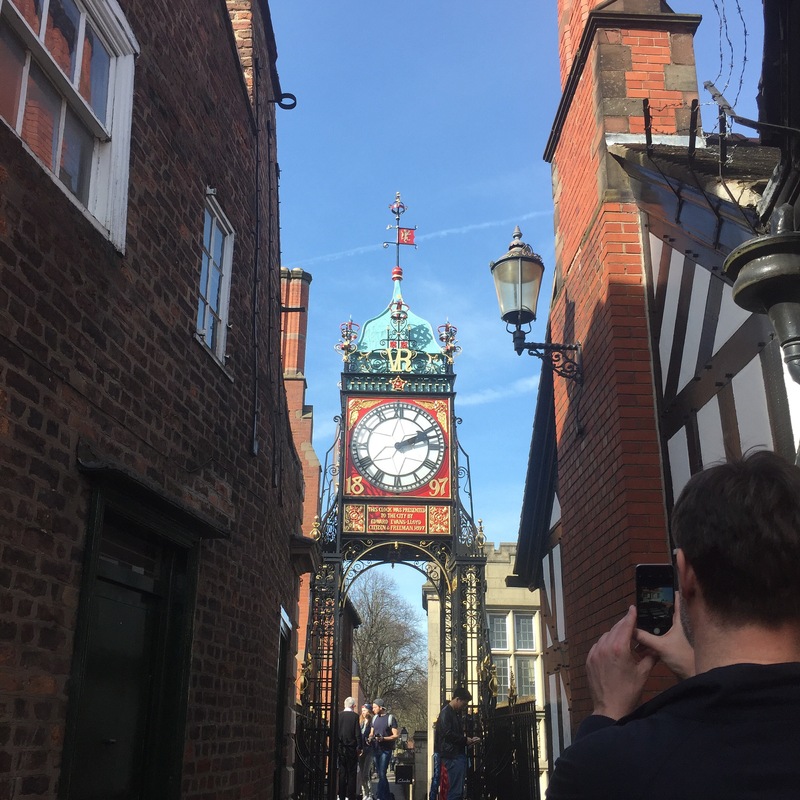 It was interesting to feel like we had a glimpse of Chester through the eyes of a tourist – and to reaffirm why we love this city so much. We really do have numerous reasons to be proud of our city and its heritage, arts and culture.